Funeral arrangements have become very diversified to accommodate people’s diverse views, religion, customs, and unique personalities. Currently several arrangement options are available. Many people share strong convictions as to the means of his/her final disposition. People purchase graves in advance, pre-arrange his/her own funeral, others may pledge his/her body to science, and several purchase his/her monument to designate his/her grave in advance.The following are Arrangement Options available at our Funeral Homes. * Traditional Burial A ‘Traditional’, Full-Service Funeral usually includes a viewing or visitation and formal funeral service, use of a hearse to transport the body to the funeral site and cemetery, and burial, entombment or cremation of the remains. *Direct BurialThis option does not include a formal viewing, dressing, visitation, embalming, or ceremony except for a graveside service. Direct Burial is the disposition of human remains by burial. * Cremation w/ ServiceTraditional Funeral Service, prior to the deceased cremation. 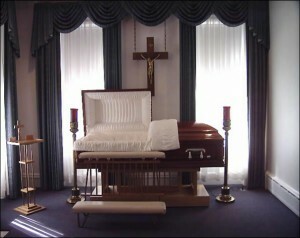 *Direct CremationThis option does not include an embalming, dressing and cosmetology, viewing, visitation or ceremony. It does include the removal of the deceased within a local range, the filing of any and all appropriate paperwork. *Counselling concerning Anatomical Donation, Veteran Services and Green Burials are available.